There are 34 marine oil terminals in California where nearly two million barrels of oil and petroleum products are transferred over water (between ship and shore) daily. The Commission regulates all marine oil terminals in California, including enforcement of state building standards. Most marine oil terminals in California were built in the early 1900s when oil was carried by ships much smaller than the size of today’s tankers, and before modern seismic safety standards and environmental requirements were established. 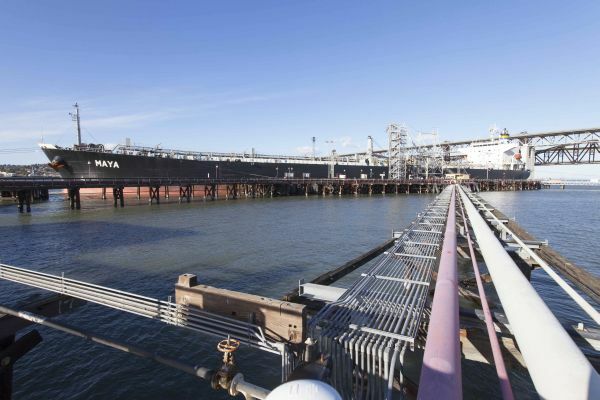 The Marine Oil Terminal Engineering and Maintenance Standards, known as MOTEMS, are building standards (California Building Code, Chapter 31F – Marine Oil Terminals) that apply to all marine oil terminals in California. The MOTEMS establish minimum engineering, inspection, and maintenance criteria for marine oil terminals to protect public health, safety and the environment, and govern the upgrade and design of terminals to ensure better resistance to earthquakes and reduce the potential of oil spills. The Marine Oil Terminal Engineering and Maintenance Standards (MOTEMS) establish minimum engineering, inspection and maintenance criteria for all marine oil terminals in California, in order to prevent oil spills and protect public health, safety and the environment. Originally approved by the California Building Standards Commission on January 19, 2005, the MOTEMS were first published on August 10, 2005 and became effective on February 6, 2006. To ensure that the best achievable protection is provided, the Commission continuously updates the MOTEMS regulations through public and transparent rulemakings that allow abundant opportunities for public participation. Each terminal operator is required to complete audits and inspections of their marine oil terminal on a prescribed periodic basis (typically every four years) to assess the facility’s fitness-for-purpose. The MOTEMS Audit Manual is a useful tool in performing such activities. The MOTEMS audit and inspection results are then summarized in the MOTEMS Executive Summary Tables, and where deficiencies are identified, the Commission works closely with operators to prioritize and ensure implementation of repairs and upgrades in a timely manner. New marine oil terminals and new berthing systems are required to have MOTEMS compliant evaluations (analyses and designs) prior to construction, and to complete a MOTEMS initial audit prior to commencement or recommencement of operations. For existing marine oil terminals, all proposed new, substantially modified or re-designed structural, berthing and mooring (including Terminal Operating Limits [TOLs]), fire, piping/pipeline, mechanical or electrical systems or components are also subject to MOTEMS compliant review by the Commission, and shall be MOTEMS compliant prior to use or reuse. “As-built” re-verification may be required. The MOTEMS also require Post-Event Notification and Inspection following a significant, potentially damage-causing event, such as an earthquake, storm, vessel impact, passing vessel incident, fire, explosion, or tsunami. The Commission works diligently to review each terminal operator’s compliance with the MOTEMS regulations and ensure conformity of the built marine oil terminal.